"Best property management system for residential"
"A One Stop Shop Resource"
Yardi Voyager is a versatile software that makes Property Management much easier. It allows us to keep track of work orders, payments, lease expirations, and much more! I would highly recommend it! Yardi Voyager also works well in conjunction to other Property Management programs like Aptex for example. You can access and print applications, notices, leases, and work orders with ease. Because Yardi Voyager is a "One stop shop" it can be a daunting software to learn. Once you have learned the ins and outs of it you'll wonder how you lived without it. Be sure to provide adequate time and training for users. The program can be overwhelming to new users. Yardi Voyager keeps tenant and property details condensed and organized. It provides solutions for organization, processing of violations and notices, and pay history. It stores templates so you can avoid the use of unsanctioned materials throughout the company. Using Yardi as our platform for our property management company has been helpful, from my positions as the receptionist and marketing coordinator. It provides all the reports and resident/prospect info that we need. I'm able to view our list of vacancies depending on how I'd like them sorted and view details. It is also simple to use. When I started as a new employee, I was able to pick up the process quite quickly and navigate different menus with ease. I like how it has options to export any reports, whether you want excel or pdf; this makes a lot of things easier for us when we use Yardi reports daily or weekly. I guess aesthetically, the platform can be better or more attractive. I think it would also be helpful if there was a search function that would pull up all the memos from various residents that have the same keywords. This way, we can analyze recurring issues that may be affecting more than one resident. We are using Voyager for basically everything so we are solving a lot through it. We use it as a file storage, means of communication, data analysis and pulling up reports... so much. Uploading a lot of our resident files onto their Yardi profiles also allows us to be more eco-friendly and save space in our corporate office since everything is digital and very easily accessible. "Useful Property Management Software for Accounting Reports"
My team uses this software for the accounting at a few of our properties. It is nice because you can enter and approve invoices, run reports, and track projects all in one place. It is pretty easy to navigate and not a difficult platform to operate. We do not use this software as a "one-stop shop" like many pm teams do, so there isn't much to dislike about the accounting functions that we do use it for. However, there are a few funky glitches that are quite annoying at times. For example, it you open an invoice to look at, code, approve, etc., you have to hod down the command button when closing it, otherwise it locks all other users on Yardi out from opening it until you log out. This has become frustrating when the property management team is doing stuff at the same time the accounting team is and we end up locking each other out of viewing specific files a lot. Overall, really nice and easy product. They still need to work out the kinks with things like getting locked out of viewing different items if you don't close them while holding down the command key, but other than it is a very solid product for streamlining accounting processes. Yardi has made A/P much easier and more efficient. We are able to utilize address books, set up vendors and other information from various ownerships in our portfolio all through one platform when using Yardi. It has also made the process of invoicing much more manageable because managers, accountants and A/P specialists can all be on using the platform for their tasks simultaneously, streamlining the overall process. "Makes things so much easier!" I love the ease of it all. The training modules are also super helpful for when you are just beginning. Creating and editing charges is so simple, I could do it with my eyes closed. I love being able to search for people using both their first and last names. Creating batches is very easy as well. Overall, I've had good luck using Yardi. It seems to make my job a lot easier currently which I really appreciate! It's best quality is that it is basic. It's pretty easy to figure out things by exploring functions and buttons. They also provide training material for harder functions that you might need. This some what goes against what I mentioned about, but there are a few functions that are not that easy to find. Reports for example - yes the reports function is easy to fine - but then figuring out which report is which is a sea of reports is a lot sometimes. We previously used AMSI, so in terms of beneficial, it's simply beneficial because it's all around easier to use and more reliable than AMSI. We use Yardi Voyager at our student housing properties - which allows us to simply charge rent, move them in and out, charge violations and fees, and enter their paper work smoothly. "Not bad if you have good training"
The software is easy to read and for the most part is clear when it comes to finding what you need. The software will let you know if you are doing something wrong before you submit it which is nice if you are in a hurry. I think it has a lot of unnecessary drop down and steps to get reports that you need. I wish that it had a better scheduling system that was easier to read. It won't remind you of anything, you just have to go in and check anything you need to do for the day. It will be easy if you have the correct training on it. We have all of our residents in the system, it keeps us organized. There is no way we couldnt have a software like this at my job. "Yardi for Property Management all in one solution"
Because it relies heavily on SQL as it's database, there is a steep learning curve to customize the software. It's not for the average user. It doesn't have drag and drop reporting. There are numerous modules that can make the platform expensive and bloated. Upgrades are bi-yearly so glitches and quality of life enhancements are slow coming. To get the most bang for your buck, become a SQL expert. It's integrations with it's online payment system, Rentcafe work but you feel like they are two seperate companies that don't talk to each other. If you have enough staff to administer Yardi, it can be great but it's not meant for a 1 or 2 person IT staff. We use it to manage 700+ commercial and residential units. We track the entire life cycle of a tenant from prospect to tenant. We use it to collect online payments, maintenance requests, and provide owners in depth accounting financial analysis. The custom reporting feature is my favorite part about leasehawk. You can make custom reports for prospects to see when you should be following up with them per their move in date ect. If you contact them, they can make different reports for you. For example we wanted a report to be able to see garage history that we could not previously see. Where I would like to see improvement with Yardi is being able to make credit card payments in any browser, and a history where you can see all notes from interactions with the resident. Easier Access than a memo. Start to use and think of different reports that they can create for you that would be beneficial to your company. We have wanted a better way to follow up with our prospects, which is why we converted to leasehawk. We are now switching over to Yaridi CRM to make it easier for our employees to have everything in one spot. "Yardi is a great tool in property management "
I like how easy Yardi is to navigate and the fact the basically all of the administrative tasks needed to perform my job as a property manager can be done through the system. It is also convenient because other systems such as LeaseHawk and RentCAFE sync with Yardi, making my job that much easier. I would say the main thing I dislike is how sometimes certain functions do not work on certain browsers. I also think it can be king of confusing how administrative functions can be done in more than one way. I think this overcomplicates everything. Especially, when communicating functions to co-workers. Make sure you have someone walk you through the system and not just get thrown into it. I am not completely sure what this question is asking. I would not say there are any particular business problems we are solving using Yardi. If there was that would be something my superiors would know more about. The benefits are clear, they allow me to do my job as a property manager effectively and efficiently! Yardi is great for consolidating a large real estate private equity fund of various investments. Easy to book journal entries, record equity movement, and run summarized financial reports at various levels throughout our structures. With complicated fund structures with varying degrees of legal entities in org chart structures with varying ownership percentages, Yardi can be very finnickey in cascading and consolidating/rolling up financials at the correct percentages for each entity in each deal structure. Spend lots of time in the design phase of setting up the system in order for it to function properly upfront rather than poorly designing upfront and having to book lots of manual journal entries to force the system to work for your needs. We use Yardi as our firm-wide financial reporting system to import the books and records from the properties into which our funds invest, and use Yardi to consolidate those books and records through our various legal org chart structures to ultimately arrive at consolidated fund-level financials. "Not better than Appfolio but you can manage"
This program has the basic essentials but is not easy to use. It kicks us out conintuusly and is difficult to search for specific items on the persons page. It is not good when you have to search specific information because it only pulls up the main person on the lease and then you have to give up when trying to find additional occupants. everything. I was used to using appfolio with my previous company and switching to yardi has been awful. Very slow and not an efficient program. The system is older and not great. This is a very basic system for keeping track of financials and tenants. This system, however, is not user-friendly. Not many benefits to be had with this program. Once you learn the functionalities, it is very easy to use. The way you can run certain lists and export Excel files is great! I wish there were a way to import Excel files to create payables. It would be nice if it had a feature to import bank transactions like Quicken does too. Make sure you have someone who knows it well to explain it to you. There are certain small actions that need to be taken to complete tasks so it is nice to have someone very familiar with it to show you. All accounting problems are solved through Yardi. It is very easy and simple for multiple users to access everything together. It is very easy to collaborate with coworkers. "Useful Property Management Software "
I currently use Yardi Voyager to run accounting reports. The software is very easy to use, and it is not difficult to navigate the various menus. I like how reports can be easily converted to excel. It is difficult to learn all the attributes that you can assign in Yardi. I only use Yardi to run trial balances. I wish I knew more about the attribute features for running reports. Yardi has a help site, but it is not very widely known. Yardi should promote the site to help users. Yardi allows me to run accounting reports which allows my team to book tax accruals. I like the fact that this software is customizeable. Our current software does not allow us to do many things that we need done, particularly things that need to be automated to save time. We are still in the process of implementing Yardi into our new software of choice, but so far we are excited to start using it to improve our business. I dislike the interface so far. I am hoping I will get used to this over time as I realize this tool needs to be effective, not pretty. However, coming from Appfolio which was very much easy on the eyes, Yardi seems a bit like looking at a spreadsheet during work. As with any property management software, make sure that this product is right for you and your business and worth the switch. Transitions are difficult if you are a larger company with several properties to manage, but this tool I believe functions best for those businesses that are continuing to grow. The largest benefit for sure is the automation of tasks. I want as much of my day to day tasks to be automated as they can so I can focus on more important things that are simply routine in most aspects. "Decent software for the accounting side of property management"
off-line data and see how it turns out without messing up real data. If the tryout works fine, you can then do the same thing to the real data, if not, the real data is still intact and you can find another way. It does require some proper training on use of the software. And some mistakes you made may not be easily fixable, though most of them are. And you have to follow certain rules to be able to run report in the right format. But again, once you get it, you can fly and the help function sometimes is very useful for you to explore the software. Property management for accountants and property managers, and it integrates the accounting side and property management side of work together. "Thorough software for experienced users"
There are a lot of functions within Yardi Voyager - it can be a one-stop shop for all of your property management needs. The design is not intuitive. I find myself having to click around the tabs to find what I need. Voyager is only able to be accessed in Explorer, which can be quite slow comparative to Chrome. We use it in conjunction with Entrata and syncing resident information can sometimes take 24 hours, which slows the leasing process down. If you have used Yardi in the past, you may find using Voyager easy and intuitive. For those who are used to Entrata or OneSite, I would recommend staying with those as they are more streamlined and have a cleaner design. Yardi Voyager is used mostly for work orders, move-outs, transfers, and resident ledgers. It is very easy to use, and doesn't require an expert to navigate. Everything is in one place, and it's convenient to find everything you need at the click of a button. It can run a bit slow at times, and makes it difficult when you are trying to run something in the moment, or when you have a guest waiting for something. It can be a bit difficult to find things sometimes with the new upgrades, but once you get used to it, it's great. Just be patient, and give yourself time to learn the new system. Everything resident related we are able to use with ease. Email, rent roll, delinquency, it's all in one place and we don't have to go searching for it most of the time. "Easy to use, Very Helpful!" The easy to use system is great for both residential and commercial communities. While it does get slow and log out quickly, I love the multi-platform use this offers. Frequently the page will freeze or be slow, and the automatic log out can get quite annoying. All of my properties are located in one database. From accounting, to management, to payscan. It is a great system with so many tools. "Another Giant Software Company for MultiFamily"
Their reporting is great, far superior to most other multifamily housing software I’ve used previously. Their customer support is so slow. It’s impossible to Get things accomplished timely but I’ve found this to be true for many company’s this size. Also customization can be a huge struggle or you will just pay a lot in order to be able to customize your own data. The functions that work well are accounting. I have used other competitors and honestly it is a challenge to find a product specific to the multifamily industry that can do everything you need. 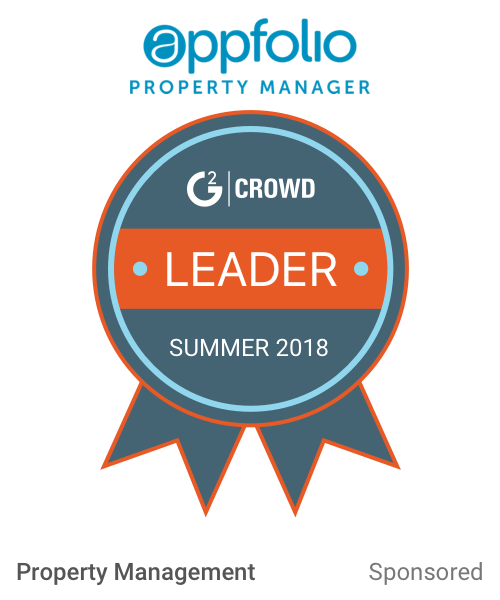 They handle all major functionality needed in multifamily, reporting, amounting, leases, etc.You definitely need a property management software to be successful, so I just wish they would listen to the feedback and make changes. Yardi offers an integrated application to manage properties, employees, residents, and maintenance requests. The interface is simple to use and understand. The web-based and hosted nature of the application makes it incredibly easy to use. The mobile apps are very clean and easy to use as well. The configuration and setup of Yardi is difficult at times. Yardi will perform system maintenance and fail to inform the administrators of this before it is done. Yardi is more geared toward multi-family/apartment style housing. The single-family module was clunky and difficult to use. The most recent update of Yardi made single-family easier to manage. We have been able to establish a single location for rent, lease, and maintenance management. Residents are now able to apply online for the home that they wish to rent without making the trip into the office. What I like the best is that it is an internet based platform that makes all aspects of property management more streamlined. we can have electronic approvals set up so that eliminates alot of back and forth with invoices. there isn't much I dislike about Yardi...I feel it is very user friendly. In my current company we are using Yardi for accounting purposes. Love that you can run several reports on this platform, the ease in drilling down in the data is great as well. There is a lot you can do with this that all integrate together but you also have the option of just selecting a couple things as well. The possibilities are endless. It feels old, the whole layout is very basic and while the information is great I think there are more intuitive ways to do the same stuff. 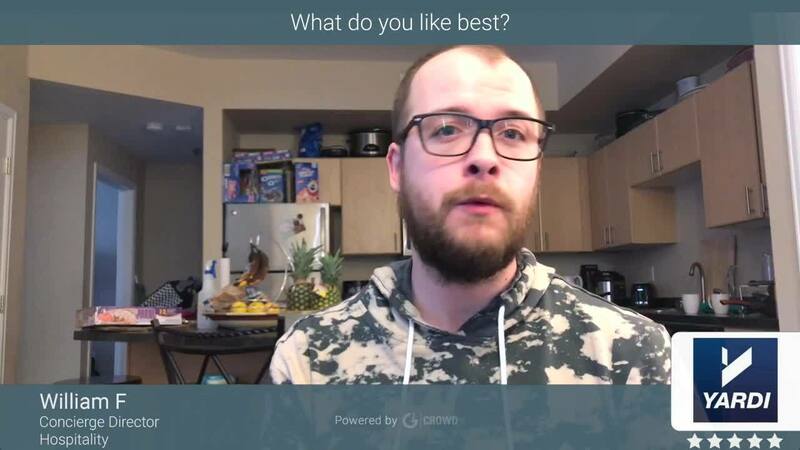 I do think with some updates and bringing the look more into the future would greatly improve the retention of use and ease of training new people to not only use it but also be able to see the vast amount of possibilities there are with this. I would say if you want a platform that is widely used and been around for a long time this is well worth looking into as an option. It's got a wide range of stuff you can do with it but you're not locked into using it for everything if you don't want to. We used this platform mainly to track rent and expenses, the reports we could run for quarterly, yearly, and even monthly items and drill down to see the variances and discrepancies in income vs expenses and to be able to plan ahead and see what we may be missing. Great product with endless possibilities. Yardi Voyager has very solid AR and AP functionality. I really like the Commercial Cafe and the ability for the tenants to make pre-authorized payments via ACH or credit card. I wish the canned analytic reports came out formatted better for presentation. The report headers from the Analytics are weak. Yardi allows for quick monthly posting of tenant charges, which makes the AR process very efficient. "very helpful for managing residents ledgers/reports"
I like the fact that you can check all residents ledgers, and there are so many reports that help with running the business and keeping track of finances. It is perfect for a multi family property management company. You can run reports for: unpaid rent, prepaid rent, directories, traffic logs, and so much more. I wish there were a faster way to post things such as late fees to unpaid residents. At this time, you must charge them up individually, in bulk, in order to apply the charges. It would be nice to be able to choose one charge code (i.e. latefee), and somehow auto-apply the latefee to all units that have unpaid rent at the time. I have realized that it is a great benefit to be able to look up resident information and ledgers electronically, rather than always having to pull a physical file and manually search. It is faster and much more efficient with Yardi. Yardi makes managing out properties so easy. I enjoy that the dashboard lets us know our leased and occupied percentages so easily, and accounting is a dream. I've worked with other softwares that have not allowed me to credit back to the charged account and it becomes a nightmare on the financial report. Instead, Yardi allows me to correct those mistakes and create a paper trail for our leasing team: IE a waived late fee doesn't disappear but shows as a charge and then a credit so staff know that the resident has utilized their one chance. We also can pull any reporting easily to search for what we would like to know. I dislike the notes section is difficult to see while on the resident page. It would be better if the team was able to see notes written without having to click to another tab while they're on the phone speaking with the resident. Monday reports go such much faster with Yardi! I'm able to easily pull the information in ways that other property management software did not allow me to. "Very Disappointed with YARDI's implementation and customer service support"
We have been a YARDI software customer since the 1980's starting with YARDI professional and the software worked well for our needs. After upgrading this year to Yardi Voyager 7S, we have had nothing but frustration with the YARDI implementation team and customer service. The employee turnover at YARDI is staggering and after seven months of paying for the software, we finally obtained a business analysis which discovered that YARDI had assigned us to the wrong implementation team; residential, not HOA Management. I would not recommend that any HOA management company select or use YARDI software or products based on our experience with their customer service and support teams. It has been a most disappointing and frustrating experience for our entire management team. Avoid this company and look at other software solutions. The customer service and support of this company is horrible. We are using YARDI Voyager 7S solely for HOA and Community Association Management services. "Hub for information and easy to use"
I like that the bulk of the information we access and use on a daily basis can be stored and kept all in one place. I also like that once you have used it a few times it is pretty easy to navigate. I don't like that each item clicked on opens it's own window. That may be a computer setting but It seems to reset each time I log in. It works well for property management/housing assistance purposes and allows us to track all the information we need in one place. Data storage, service implementation and progress tracking. We can track progress of participants as they set and achieve goals and also view income and work history. Yardi is the most user friendly software I’ve come across. I’ve trained people to use Yardi and they were all able to pick it up quickly. Yardi tends to freeze up or glitch from time to time. I have lost my work before and information on reports due to this. Make sure to have the training guide. Because Yardi is quick to learn, it benefits the company and business by reducing time to get information to the customer. "Yardi in a nutshell "
Yardi provides a convenient way to use basic day to day functions and pull much needed reports in one platform. It's user friendly and seems like it integrates with other systems well. It's great for tracking resident information and even better when needing to search for resident. Any analytic you need to find out, yardi probably has a report for it. Definitely my favorite. Constant change: Because yardi is constantly improving their systems a lot of functions change often, and reports you knew how to access one way now uses another way. Also Yardi seems to slow down around the first of the month. I would definitely recommend anyone to just try it. Hands down my Favorite. You can easily pull your properties stats. And with one glance at the dashboard you know who's moving in/out, evictions, work orders, occupancy, ect. "From CTI to Yardi Voyager 7"
What I like best about Yardi Voyager is the amount of online references and quick search features that help new and seasoned users navigate through the various menus and options to find exactly what they are seeking. Going from a CTI platform to Yardi Voyager was an easy transition due to the amount of reference materials that Yardi Client Central makes available. From the quick menu setup to the performing a general search, the ease of use is what I like the best. It makes performing our client accounting functions very easy and effective. There are a few items that I dislike about Yardi Voyager. At times, a general ledger rebuild is needed in order for financials to balance to the subledgers. We have run into instances where we run a financial statement in a prior month and rerun that same financial statement in the current month, and the amounts are different or the trial balance or balance sheet are not in balance. The level of trust and confidence in the product can be questionable at times which makes it sometimes difficult to understand why static data may change from day to day at times. I would recommend Yardi Voyager to others because there are many options for reporting and analytics that are automated and very detailed that can set your company apart from others due to the complexity yet simplicity of the software options available within the program. I am an accounting controller for a real estate investment firm. We have to provide client and owner financials and performance reporting and special analysis to our end users in order for them to evaluate their investment's health, make decisions about their real estate allocation in the over scheme of their business, and to decide which industries to invest in and their basic overall investment strategies. We have to ensure that the financial data presented to the client is correct and complete which is why we rely on Yardi Voyager for our accounting needs. We have seen several benefits from using Yardi Voyager including the ease of over use of the software, the ability to automate many tasks and schedules that were once done with an Excel spreadsheet, and to improve our reporting to the client by being able to offer more enhanced reporting that is comparable with our competition. Gets the job done, tracks contracts and payables. Has many different functions if your accounting department sets them up properly, can be a great tool if used correctly. Many errors and functions often stop working. When using the contract log summary you are not able to highlight a row, so when looking at a large list of contracts it can be difficult to track the contract al the way over to the hyperlink. Once I found the clickpaths to where I want to go, I can navigate there quickly. Because the interface is older and for reasons unknown, it's very difficult to navigate. I have to ask for a lot of help when doing something new, which is not a normal problem for me. Skip Yardi Voyager and use Yardi Enterprise. I use this mostly for retrieving current tenant contact information andchecking the status of vendor invoices. I love how easy it is to use. I also love that I am always learning something new about the uses for Yardi. It does so much! I think Yardi prevents us from having a lot of problems that we could potentially have. I really like the Rent Cafe integration, it makes the online leasing a lot easier. One of my favorite features is the option to have memo's related to specific items, as well as the tenant page. Entering and updating tenant information is very simple and user friendly. TEST MODE! It is an awesome feature! The system feels a little outdated, no going back once changing something. When reversing charges on a tenants' ledger it made it confusing to keep track of finances and rent payments/balances owed. Tenant management, I love the reports. I like all of the ways I can use Yardi, and how I can implement it into my daily outreach as well as my letters. That is possibly the best feature. The platform times you out way too fast, and it doesn't always apply the terms we've created on different accounts. I also notice a lot of error codes and page refreshes as inconvenient times. Be patient! Updates are coming and are worth it! Auto populating letters to residents. I love this feature as it cuts time in half, easily. "Run various reports such as rent roll, monthly variance analysis, and AR." The reports are accurate and generally easy to locate. Sometimes it can take a long time for a report to be run and accessible. The site seems to run slower during certain times of the day likely related to peak usage from it's users. Probably the best product out there if you need a system to track and measure property features such as rent rolls, monthly financials, budgets, accounts receivable, and lease abstracts. Financial reporting to our investing client. The program allows us to accurately and efficiently report data to create a snapshot of how the property is doing, giving investors valuable information regarding return on investment. "Good but can use improvements"
I like the fact that it has a variety of areas that can be utilized for our purposes on maintaining client and vendor files. At time the software can be sluggish. Reporting features can be improved. Better planning prior to implementation could have prevented many customized features. Talk in depth with Yardi about the needs and requirements for all groups that will utilize the system. Implementation should be based upon workflows with an uncomplicated growth approach. Database and management tool for the program participants and the vendors that provided units and services. "Yardi is the heart beat of our operation. " Voyager is a very powerful tool that manages every conceivable function of a property management operation. Its cloud-based functionality allows me to work from any computer, anywhere in the world. It also allows our team to work seamlessly from several locations around the region. Voyager is also very easily customized to meet unique needs of a particular user or group of users. Workflows are not always intuitive and efficient For instance, to set up a new user, functions are required in multiple roles to successfully assign properties and set up a user account. Yardi Voyager is a very dense and not always easy-to-navigate tool. Don't bite off more than you can chew. When you sign up, be modest in the extra options and features you want to take on board (Leasing Pad, PopCard, etc) and integrate them into your process one at a time. Yardi is the backbone of our business. It manages our payables, receivables, resident records, maintenance, and procurement. We are able to integrate other software tools with Yardi which allows our leasing agents and maintenance technicians to access data from the field on mobile devices. "Yardi is slow but has a lot of potential"
I like that there are multiple aspects to Yardi. The work orders are easier to manage than our previous platform and charging residents is very easy to do as well. Yardi is slow and takes a long time to load. Uploading things takes time and you are constantly having to wait for Yardi to catch up. Yardi is slow. The benefits are that Yardi has combined a lot of things hat we used to have to do separately. "Yardi Voyager - Almost Great "
The best thing about Yardi is the multi-role dynamic; with one login, you can access residential real estate, commercial real estate and accounting functions. The occasional shut downs. In my 3 years of using Yardi, I would say it’s been “down” atleast 10 times. The support is usually great at getting it up and running again but you’ve may lose your work. Residential and commercial property management accounting functions such as journal entries, check processing and financial reporting. "Constantly learning new things about yardi "
Everything. I really do love using Yardi. Not sure if it’s just where I work but it always seems that as soon as it’s time to close-yardi slows downs and gets all glitchy. Oh goodness, what business problems aren’t solved. Yardi is the jack of all trades! Doing accounts payable is easier that some other software. Accounts Receivable is a bit confusing sometimes as compared to the older version. Its really good in a property management business, it gives you everything you need, you have to take time for training. we wanted to be live and be online anywhere you might want to be. Online access gives you the capability to check something without going to your work station. "Easy use for water management and reimbursement services"
Yardi has updated their user friendliness and their overall layout/interface. On our property we are able to use this software for residents water balances and management - it's an easy to use site with lots of reports and data and tools to use! It can be rather difficult to post quick charges for customers who pay onsite. In addition, the moving out feature and posting of last charges for move outs is difficult. Yardi also requires a password change frequently which is annoying. It's the product to go with in property management! We are able to do final account statements in a more streamlined manner. The use of finding residents and generating statements has been easier since their update in 2017. "Have used Yardi for 10 plus years "
I love that every thing has a report to it so you can see just where your income is being generated, marketing dollars spent, traffic sources coming from, and even guest cards for customers with follow ups built in. I don't have a thing that i dislike at all with Yardi. It's been antop notch industry leader in property management software. I am solving property management closing with yardi voyager. It tracks all traffic entered, closing ratios, marketing and income. The reporting functionality is pretty great, especially on the financial side. It is incredibly difficult for non-tech savvy people to learn and it glitches quite a bit. Test with your front line people first. It is solid property management software and it allows us to really drill into the data. "Great program - very user friendly"
It's so user friendly and easy to navigate. As long as your information is input properly, you can run ANY report to easily help you work quickly. Has all the features I needed, allowing me to track tenant history and make updates to their accounts. Has a large database and continuously runs fairly quickly. To my knowledge, we've never had it crash. Oftentimes, the product is frustrating because of its limited capabilities. The UI is not very user-friendly, and making a mistake often means needing to void things out rather than just deleting. Some of those functions also require an administrator, making entering data long and complicated. Taking care of tenant information. Tenant accounting. Payment of bills to vendors. Tracking of payments of rent and fees. * We monitor all Yardi Voyager reviews to prevent fraudulent reviews and keep review quality high. We do not post reviews by company employees or direct competitors. Validated reviews require the user to submit a screenshot of the product containing their user ID, in order to verify a user is an actual user of the product. Hi there! Are you looking to implement a solution like Yardi Voyager?